The most beautiful place on campus to observe the coming of spring is Duke Gardens. Covering 55 acres and encompassing multiple garden types and themes, the Gardens are just starting to bloom in earnest. Over the weekend I couldn’t keep myself away, and joined many other visitors enjoying magnolia, daffodil, and cherry blossoms, plus so much more. After a rather drab winter, it is refreshing to see so many colors again. Wondering where to find the best blooms this week? 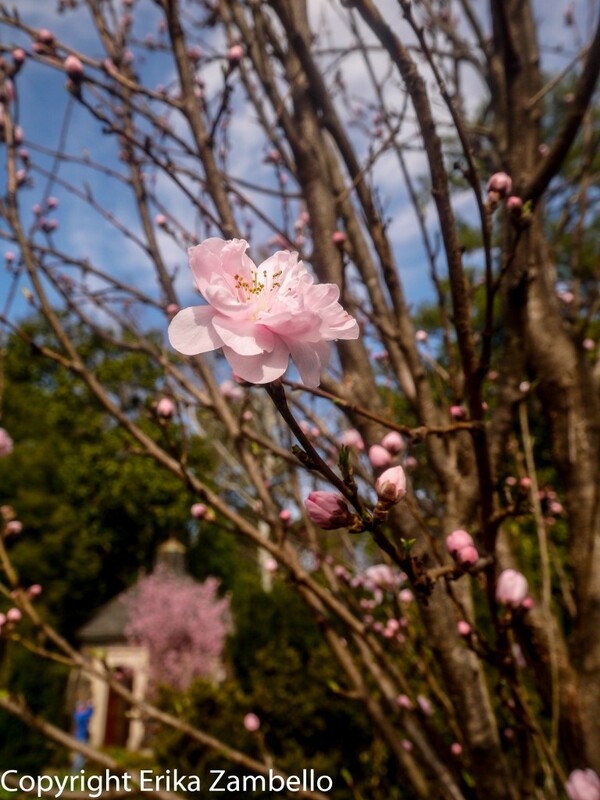 To see white and pink Star Magnolias, head to the Garden Pond, where the trees grow near the Japanese-arched Bridge. More magnolias can be found on the large lawn bordering Flowers Drive, in addition to dozens and dozens of daffodils. 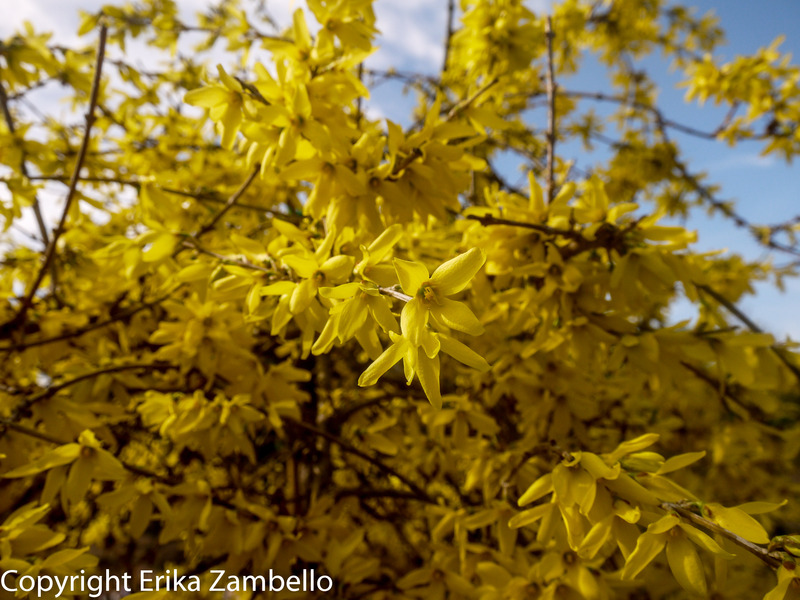 Golden forsythia are flowering inside pots bordering the Terrace Gardens, and provide a bright contrast to the white and pink flowers that dominate tree blossoms.The Terraces also have many cherry trees, but they are only just starting to bloom. 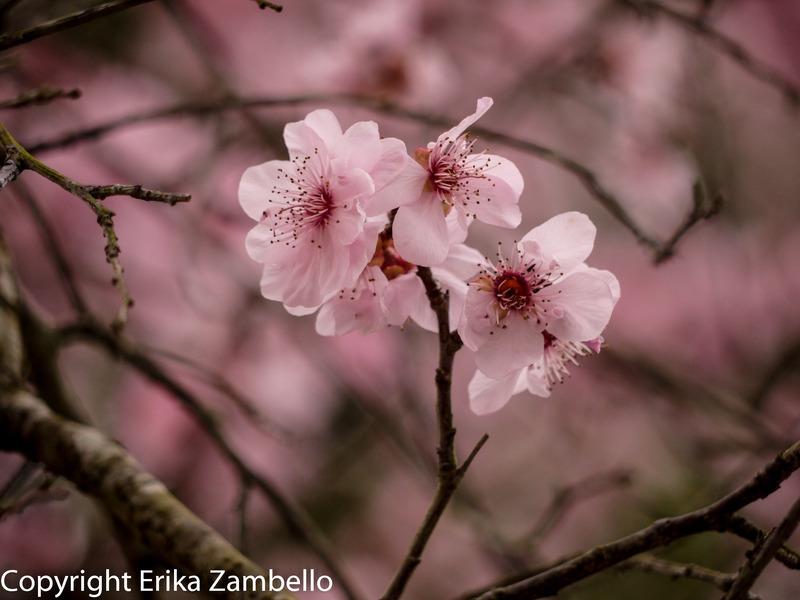 The first truly flowering cherry trees are found inside the Asiatic Arboretum and right outside of the Doris Duke Center. We are only in the beginning of the spring season, so my advice is this: go to Duke Gardens, and go often. 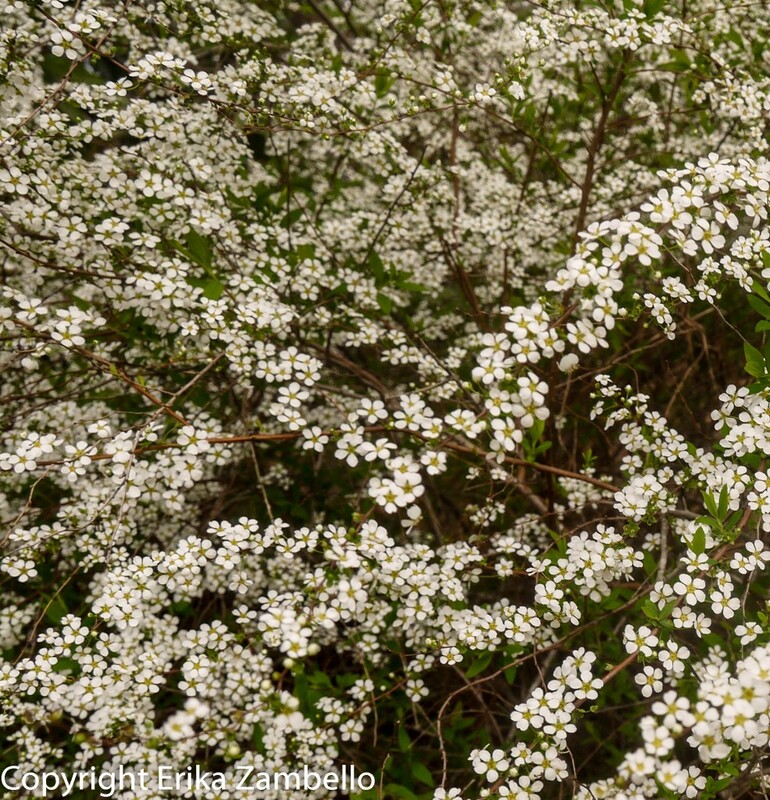 The blossoms are spectacular, but fleeting!